Padres GM A.J. Preller instantly became the talk of the baseball world during the offseason. As a first-year general manager, he essentially turned around the entire position-player roster overnight. The media was encouraged and gave Preller credit for dealing myriad minor league prospects for a young core of talented players and former All-Stars. The media was further impressed that Preller did so and held on to top prospects Hunter Renfroe and Austin Hedges, in addition to retaining a stellar pitching core from the previous year. There was a ton of offseason media speculation that the Padres would trade All-Star Tyson Ross and possibly Andrew Cashner. That never came to fruition as Preller and the ownership saw a chance to make a big splash. The night before opening day (Easter Sunday), only A.J. Preller could upstage Jesus by trading for MLB’s best closer in Craig Kimbrel. The roster transactions over a three-day period were unprecedented in MLB history. The hyped season began with a flurry of moves, buzz by the front office and media admiration. Fan excitement crested throughout San Diego as the team appeared to shed its offensive woes from previous years; at first glance, it seemed Preller was the “savior” San Diego was waiting for. But, as the season progressed, the Padres didn’t. What went wrong? While the Padres were hitting better, their once stellar pitching staff – which was supposedly bolstered by the free-agent signings of starters James Shields and Brandon Morrow, along with closer Kimbrel – were not fairing as expected. As they regressed, the offense also started to sputter and show signs of weakness. 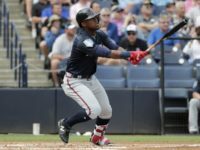 This problem was compounded by injuries, including a spring training injury to backup catcher Tim Federowicz, which necessitated rushing top prospect Austin Hedges to the bigs, and Wil Myers’ wrist injury. As the season went on, the questions were not only unsolved, but they were multiplying. Is the defense hurting the pitching staff that greatly? 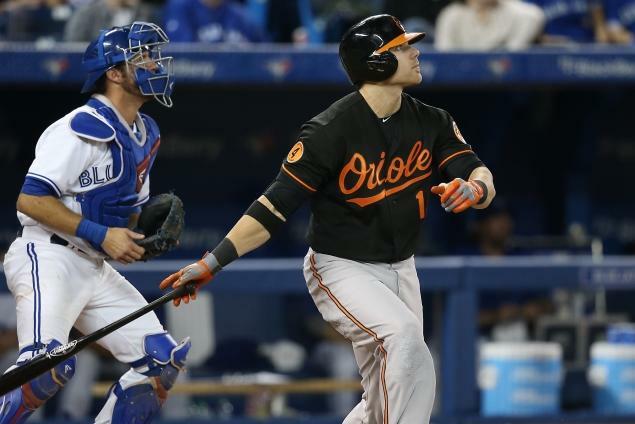 Is the new catching core so unfamiliar with the pitching staff that they’re not gelling well? Is Derek Norris’ underwhelming pitch-framing abilities to open the season, along with the defensive limitations in itself, that much of a problem? The inconsistencies never let up, and the theories, logical or not, were daily topics among the blogger community. The media started to play a different tune and were quick to proclaim A.J. Preller’s offseason moves a bust. I found it very interesting they would come to such a conclusion so quickly, and so forcefully, despite their early praise with admitted speculation of possible weaknesses. As the team floundered, Preller decided to fire long-tenured manager Bud Black, and the media criticism started to snowball. Maybe they were right when they were suggesting firing Black was a mistake. In retrospect, it was probably bad timing and deterred the Padres from gelling as a team. I found it odd that not one authoritative source was even suggesting the possibility that it could have been Black’s managerial demeanor, strategy or leadership skills. Seriously, not one? It was almost like, “he fired one of the most likable guys in MLB, let’s blackball Preller.” Could it have been in large part because Black was such a well-respected, likable, media friendly, player’s manager? I was baffled as the Preller-bashing was relentless. 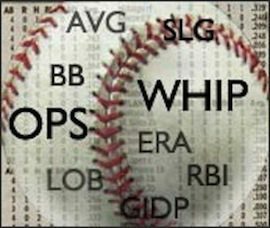 What exacerbated industry criticism was the fact many Padres prospects and players dealt were having first-half success – like Yasmani Grandal, Cameron Maybin, Jace Peterson, Jesse Hahn, along with prospects Matt Wisler, Joe Ross and Trea Turner – while the Padres were not. Critics were so quick to slam Preller for firing Black, but praise the players who were playing well away from the former Padres skipper? Was this a development problem due to Black’s preference of veteran players, and his seeming inability to coach young talented players? Grandal wasn’t a favorite of Black and played a platoon or backup role to a journeyman catcher Rene Rivera, who was having a career year while Grandal, a one-time top prospect, was frustrated with his playing time. Maybin, also a once promising top prospect who’d been given a premature contract by the former regime, seemed to be an unmovable “bad contract.” Both players hurt the Padres by being popped with PED’s no less, and while talented, were out of favor in SD and in the clubhouse. But was this Preller’s fault that he didn’t see it coming? Black couldn’t possibly be held accountable in over-managing the roster juggling without playing the talented prospects? Hmm, but I digress. Almost all of the departed players the media focused on would have natural regression. Grandal made his first All-Star appearance, Ross and Wisler made it to the show along with shortstop Trea Turner, while the Padres feverishly searched for an upgrade at shortstop. Turner’s prospect stock rocketed to the top, while Renfroe struggled in the first half and Hedges rode the pine. But the tide eventually turned. Hahn was shut down in Oakland due to a flexor tendon issue. Ross looked very good early, but was also shut down due to “fatigue,” and Wilser endured an 0-6 stretch with a near 6.00 ERA and no longer looked like an improvement over current roster options. Peterson’s and Maybin’s peripherals came down to earth, as expected, and Turner was brought up and has been riding the bench while hitting near the Mendoza line. With the glaring hole at short for the Padres, magnified by Turner’s souring stock, some scouts still believed internally he was better suited for second base. The media continues it’s Preller diatribe, but fails to make mention of the regression, the inability to play due to injury, or obvious talent evaluation, simply because it differs from their narrative? The shoe sure seemed to fit, and they were running with this spin hard. As the trade deadline approached, the media was panning the Padres and proclaimed them as sellers – adamant they would sell and “salvage” what they could in attempt to “rebuild” a farm system Preller depleted with his plethora of trades. There was a non-stop speculative “blockbuster trade” scenario about to go down, as every outlet was pushing their stories. The speculation was running wild, and everyone on the roster seemed available to move. The media was spinning the usual “they need to shed money and retool” story line. One reported trade proposal had the Padres dealing Kimbrel to the Yankees. The deal was headlined by the Yankees’ top SS prospect and the Padres infielder who had struggled early and even garnered a demotion, Jedd Gyorko. The thinking here was the Yankees would be “willing to take on Gyorko’s contract” as the Padres could dump him while acquiring a much needed shortstop. What wasn’t discussed was the fact the said Yankees shortstop had an ETA to MLB of 2018, and the Padres ownership was on record countless times saying they were not shedding payroll. In fact, they were trying to moderately increase it every year. In addition, the Padres were rewarded the All-Star Game in 2016. The deadline came and went, and the Padres not only didn’t sell off star players, they kept people, including free agents Justin Upton, Ian Kennedy and Joaquin Benoit (albeit at a reasonable option for 2016). This seemed refreshing to the majority of San Diego fans that are tired of selling players off and being dubbed a perennial “fire sale” team. Meanwhile, it seemed to further infuriate the media, as it made their speculation look foolish. There’s no mention of the fact that Melvin Upton (despite his bad contract swap with Maybin, enabling the Padres to acquire Kimbrel) is having a better year than Maybin according to WAR (Wins Above Replacement). A stat that, by and large, the media seems to love and speak of as if it were gospel. Why didn’t it apply here? Also, the media praise for Peterson, while Cory Spangenberg has been showing much more favorably in WAR playing the same position. While Matt Kemp had an atrocious May and July, he’s having an arguably better year offensively. He was dubbed by media last year as the best player in the NL in the second half, yet he has been all but ignored this year. While Kemp has been his former self, Grandal is regressing dramatically. Not a word about this, however. Sometimes the best moves are the ones you don’t make. That seems to be the media offseason narrative, but not at the deadline, of course. Case in point: Gyorko. The Padres could have rid themselves of his contract at the deadline and sold low. Preller now looks like a genius again for holding on to Gyorko. He’s hit nearly .260 with a .753 OPS and 13 of 16 HRs in the second half while being serviceable at shortstop, which had been a black hole. Moving into the offseason, he doesn’t look like a problem at all, and has possibly even raised his value back to his stellar rookie campaign. Although, I doubt you will hear the mainstream media acknowledge this. I wonder why? playoff birth and having star players be well represented as they host the 2016 summer classic. Obviously the myriad moves Preller made didn’t work. That said, isn’t it early to dub his tenure a failure and ask for his head? Most trades can’t be winners or losers in the first few years, let alone months! The Blue Jays were another team said to be sellers last year for similar reasons, and they look to be World Series bound this year. Maybe A.J. Preller has this in the back of his mind, or maybe he simply has a plan. Instead of panicking, he’s staying on course despite what others think. The Padres have a lot of value if they decide to deal pieces in the offseason and reallocate money to different areas of need. Yet again, another obvious possibility I have yet to see media touch on. In the past, the Padres were criticized for not taking prospect resources and turning those unknowns into stars or proven players. Now with the instant information regarding prospects, I feel like what was once the most underrated aspect in the MLB (prospects) has become the most overrated. The bottom line is the Padres had a bad year. A big reason was players underperformed, with many of those players not from trades Preller made but from the previous regimes. There is warranted criticism for A.J., but so much of it is yet to be determined. With his tenacity to win, ownership stepping up payroll, the All-Star game being hosted in San Diego next year, many valuable pieces and the possibility of reallocation of investments for needs, A.J. Preller should be commended for his efforts, not condemned.